With over 30 years of litigation and management experience, Charles Herd concentrates on Jones Act and maritime-related claims, maritime products liability cases and maritime-related commercial matters. He also handles and resolves insurance coverage issues, commercial truck, and vehicle wrecks, and other serious injury or damage claims. 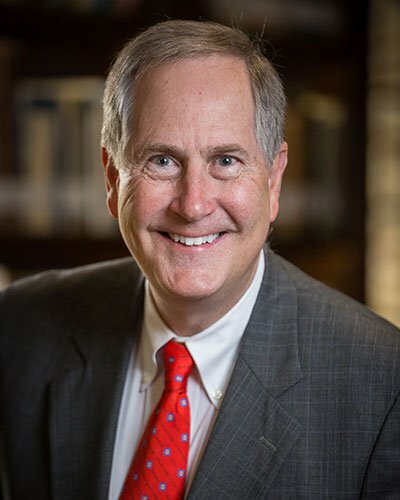 A native of Knoxville, Tennessee, Mr. Herd earned his Bachelor of Arts degree in 1978 from Vanderbilt University in Nashville, Tennessee, where he was Student Body President. Mr. Herd then worked for a bank in Louisville, KY, as a bank officer, during 1978-1981. In 1981, he began law school at the University of Louisville School of Law, where he was on the Dean’s List and earned his law degree in 1983. In 1984, Mr. Herd earned a Master of Laws in Admiralty from Tulane Law School in New Orleans. He served as judicial law clerk to Federal Judge Lansing Mitchell of the Eastern District of Louisiana and clerked for various law firms during this period. Mr. Herd moved to Houston in 1985, where he joined and later was named Partner in the Admiralty Department for the firm of Fulbright & Jaworski (now Norton Rose Fulbright). In 1996, he founded and became the Managing Partner of the Houston office of Fowler, Rodriguez & Chalos, where he grew the office from two to 10 lawyers. Mr. Herd joined The Lanier Law Firm in 2002 through July 2018 to continue to represent clients in Jones Act seaman cases, maritime-related claims, maritime products liability disputes, and maritime-related commercial cases. He was elected to membership in the Fellows of the Texas Bar Foundation in 2018. Mr. Herd began his law firm, Herd Law Firm, PLLC, and his own dispute resolution practice, Herd Dispute Resolution, in August of 2018. He continues to handle serious injury and damages claims in maritime and land-based cases. He also has served and continues to serve, as a credentialed mediator and arbitrator. Mr. Herd is licensed to practice in various state and federal courts in Texas, Louisiana, Kentucky and New York. He was admitted to practice before the Supreme Court of the United States in 2005. He also is licensed to practice in the U.S. Court of Appeals for the Fifth Circuit and numerous federal district courts across America. He is a member of and held offices in The Mariners Club of Houston, The Maritime Law Association of the United States, The Houston Marine Arbitration Association, and The Propeller Club of the United States, Houston, and Louisville Chapters. He also is a trained arbitrator and mediator. Mr. Herd has used his extensive experience in maritime and workers’ compensation law to produce published works and teach seminars. He is also a Life Member of the National Eagle Scout Association. In addition to his law practice, Mr. Herd is an officer in the Houston Northwest Bar Association, a member of Board of Directors of the Houston Northwest Chamber of Commerce, an admiral in the Texas Navy Association, a guest lecturer at the University of Houston College of Law (Admiralty course), and a very active adult leader and volunteer with the Boy Scouts of America and Bible studies in the northwest area of Houston. He resides in northwest Houston with his wife Jenny and their two children, Ashlyn and Charlie. Mr. Herd is an active leader in Boy Scouts and church activities, and he enjoys hiking, camping, and sailing.